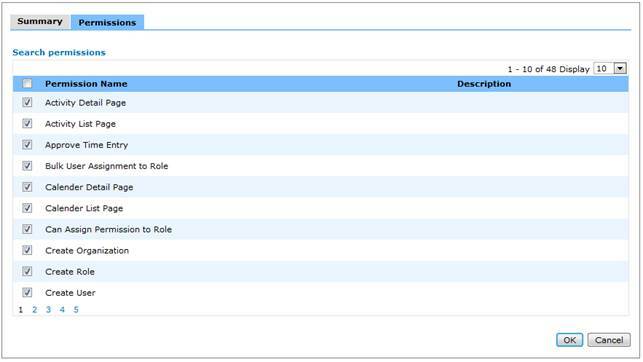 Menu path: Technical Management > User Administration > Role Administration > Role List. Step 1: Input keyword to search for. Step 1: Click on “Add new role”. Step 3: Add Permissions to the Role by clicking on the “Permissions” tab. Step 4: Select the permission(s) to add to the current role, then click OK to save. If you want to search for permissions, click on “Search permissions”. Step 1: Click the role that you wish to update. You can search for specific roles by entering the search criteria and then clicking the “Search” button. Step 2: Change the necessary information, then click the “OK” button to save. Menu path: Technical Management > User Administration > Role Administration > Bulk Assignment. Step 1: Select a role from the Role combo box. Step 2: Select “Assignment by user group” if you want to see users in a specific group, select “Assignment by user” if you want to see all users. Step 3: Select the users or user groups that you wish to assign to the role then click OK to save.